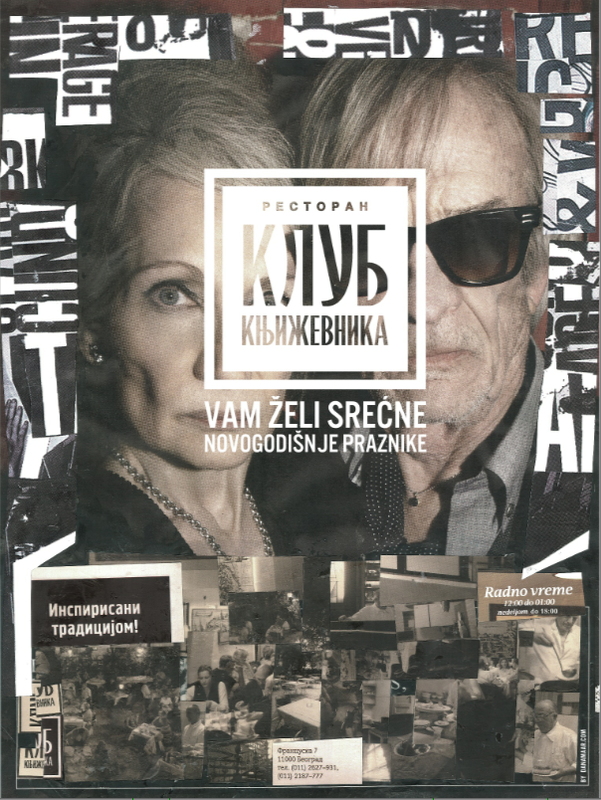 "Klub Knjizevnika"(The writer's club)is one of the most famous restaurants in Belgrade. film directors, painters, sculptors etc of the 20th century. as some of the most chic french "bistro's". 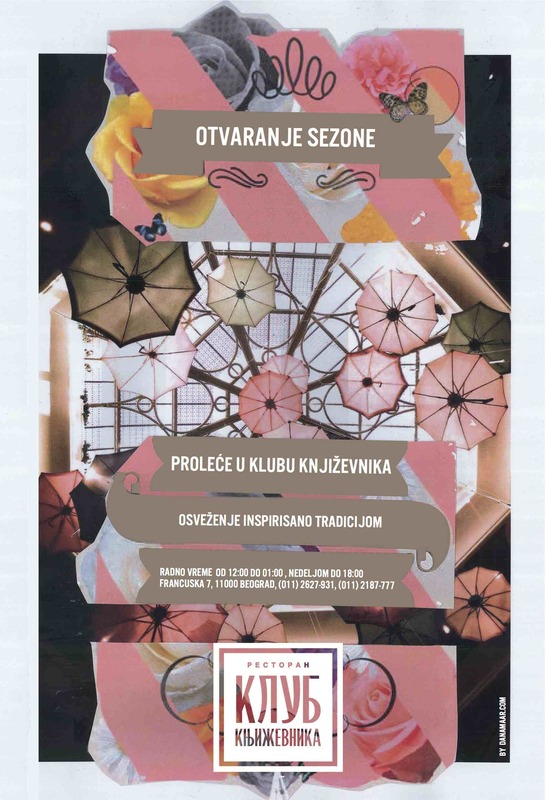 "KLUB KNJIZEVNIKA WISHES YOU ALL THE BEST - inspired by tradition"